Nothing could be more appropriately named than Royal Doulton’s figures ‘A Spook’ and ‘Spooks’; the latter an adaptation of the first. 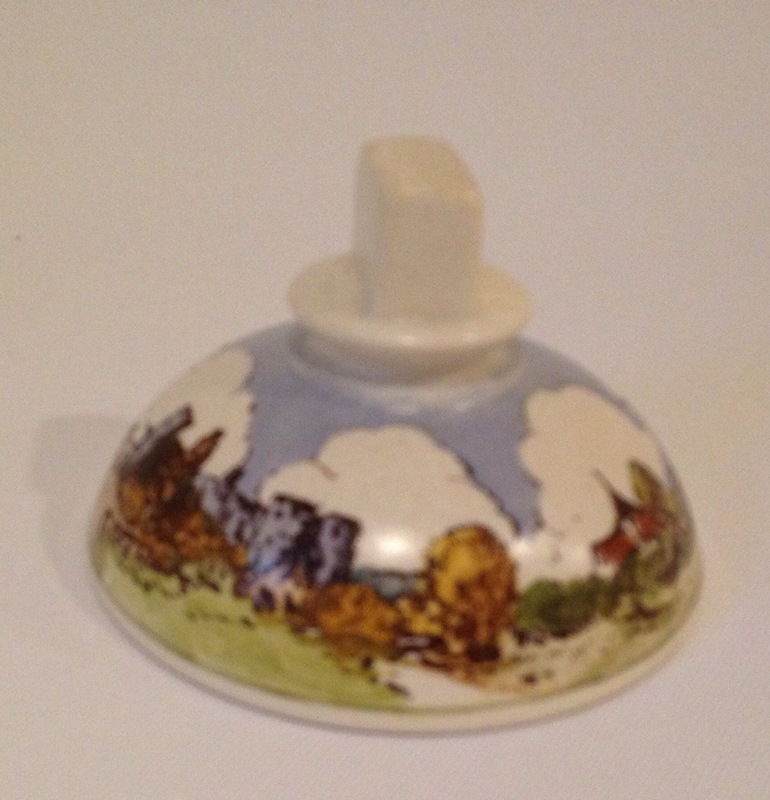 Two modern Royal Doulton tobies reflecting the ongoing influence early figures have on today’s design studio. A Spook, designed by Harry Tittensor, was introduced in 1916 and was available to order until 1936, with a total of 8 official colourways to choose from. The last HN1218 was introduced in 1926, exactly 10 years after his original introduction. A Titanian Spook by H. Tittensor. An example of a true base to A Spook. 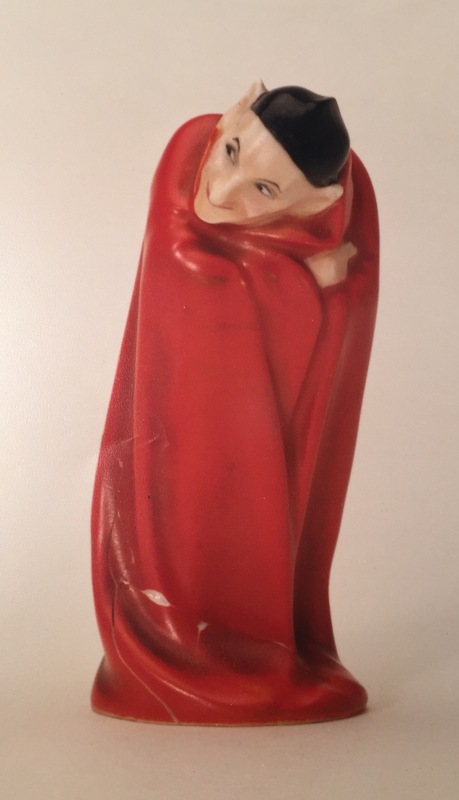 Interestingly a miniature version, without HN or M number has also been discovered, although when it comes to fake Royal Doulton, it is this miniature figure which crops up most! No doubt due to the ease of producing him in this small scale. 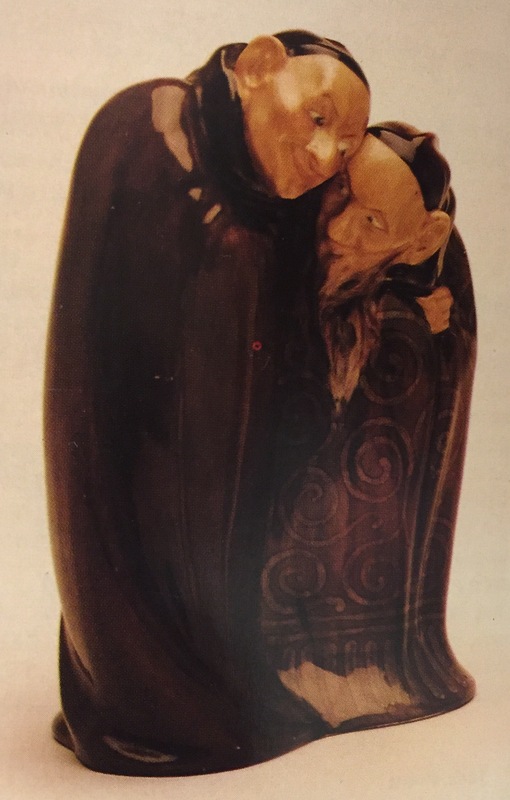 Things got a bit spookier in 1918 for the HN Collection, when Doulton’s great art director Charles Noke adapted the original single figure to bring collectors his ‘Spooks’ or ‘Double Spook’ HN88 (1918-36). Just like their individual counterpart, Spooks was also available to order until 1936 and also available in alternate colourways; in their case just three. 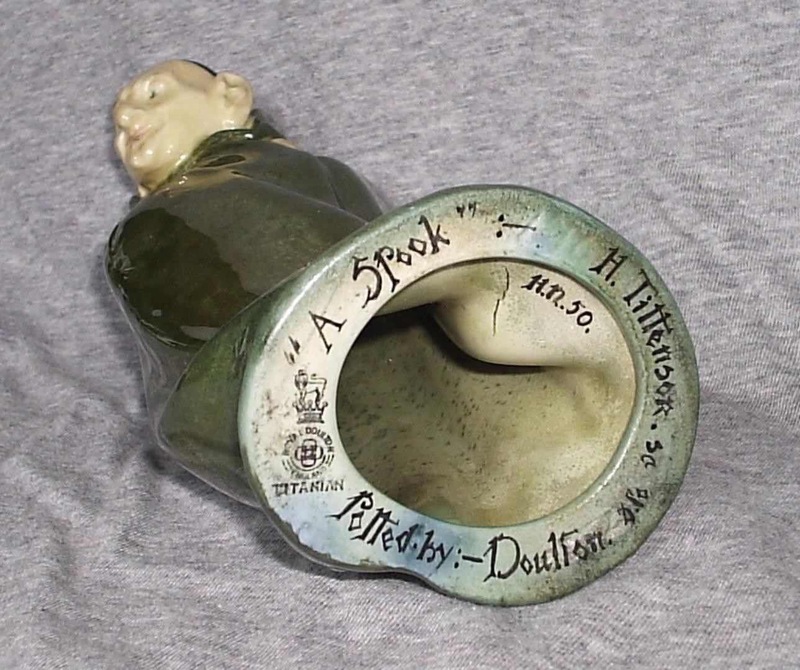 A Spook and Spooks can be found in unusual glazes including Titanian, to which they lend themselves perfectly. The wonderfully detailed HN372 photographed by J. Lukins and which appears in the figure ‘bible’! 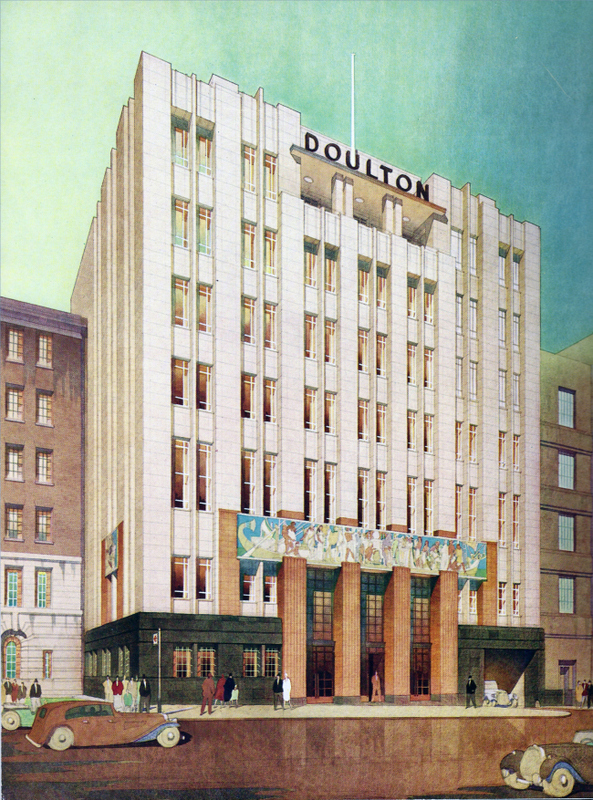 Just as Doulton in Burslem under the direction of Charles Noke were experimenting with glazes in the early 20th Century, so too was his London counterpart Joseph Mott, art Director at Doulton Lambeth. Just as sales at Burslem were on the rise so too began the steady decline of Lambeth wares. However, under Mott’s direction the art department survived for another half century. Mott had a chemists background so it is no surprise that the following pieces have turned up, all showing the most wonderful types of glaze and most bearing his initials. 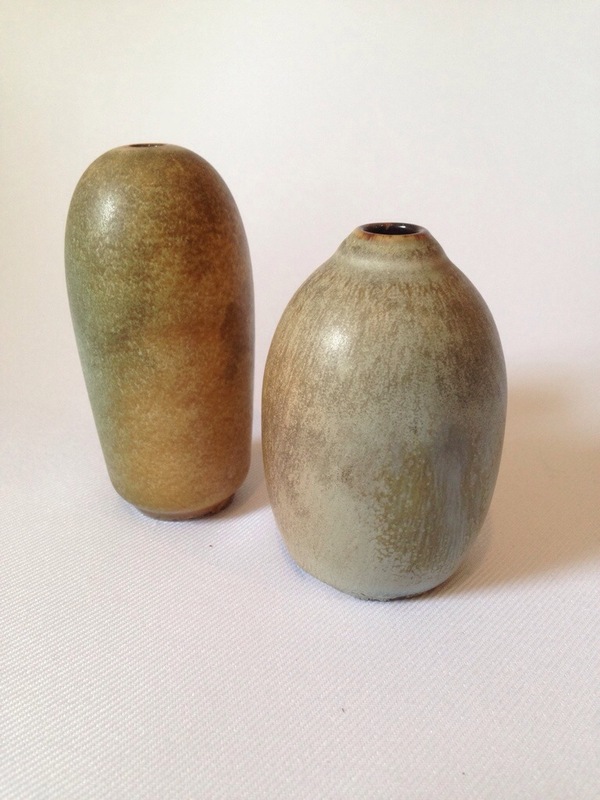 Two ‘hare’s foot’ glaze vases. 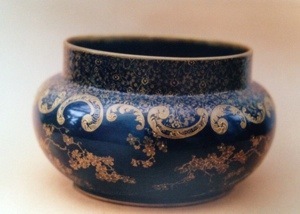 An unusual vase signed by Mott. Two views of a striking crystalline vase. 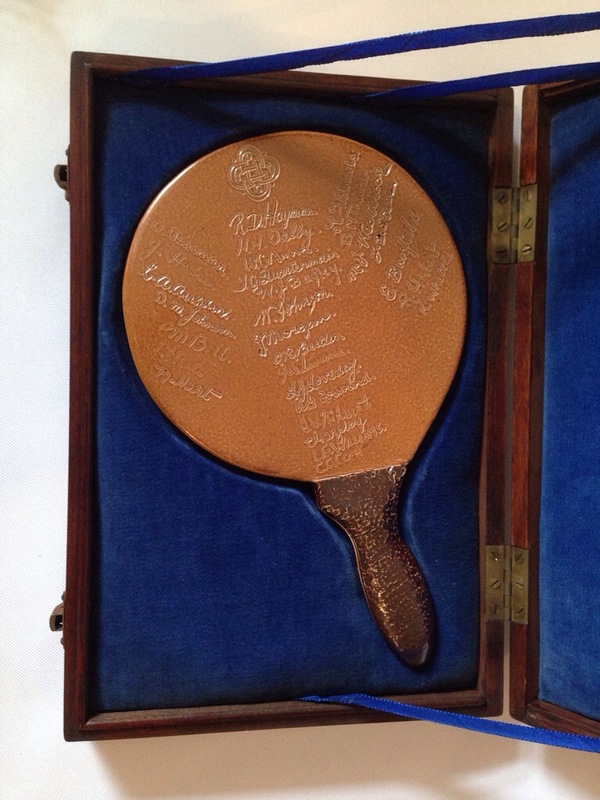 One piece of stoneware I have at home is a fun Doulton stoneware table tennis bat presented by Mott’s fellow players to him in 1935, and signed by them all. Mott’s contribution to the Lambeth factory goes far beyond glazes but that is the focus of this piece today. 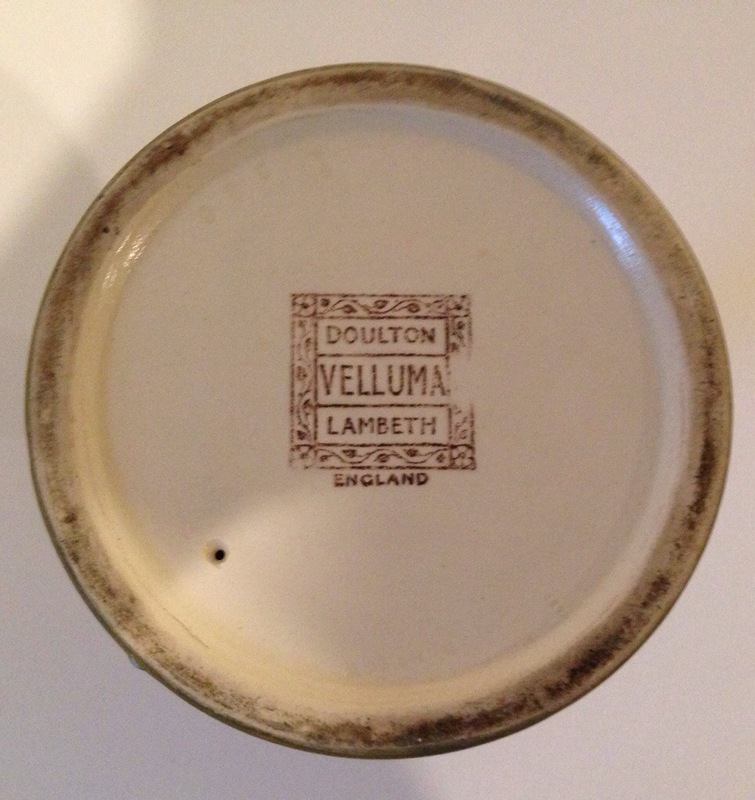 Velluma is a particularly rare ware today and pieces rarely turn up. 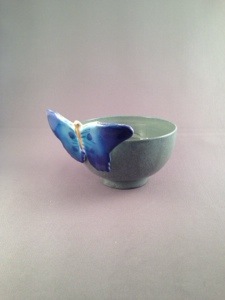 The body has an almost parchment texture to it and the tea wares particularly are prone to damage. 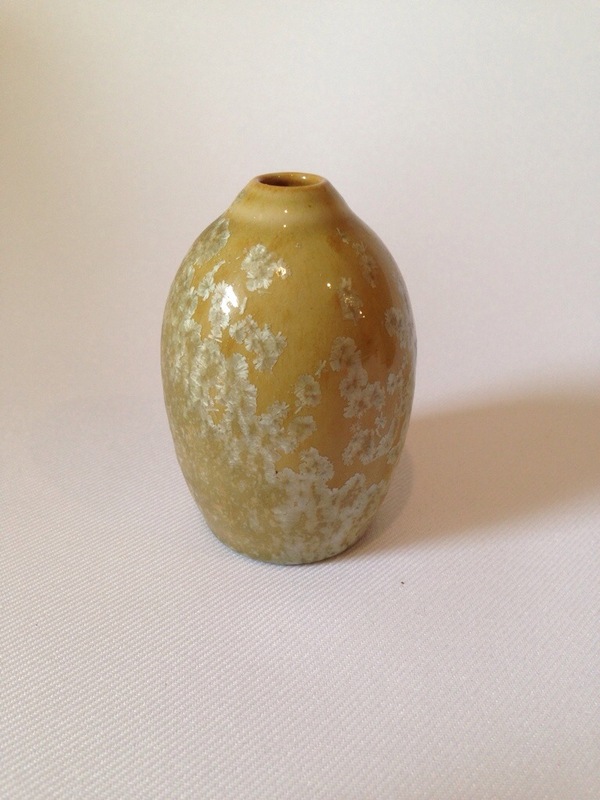 The colours are often quite muted, which adds to the vellum feel of this particular ware. 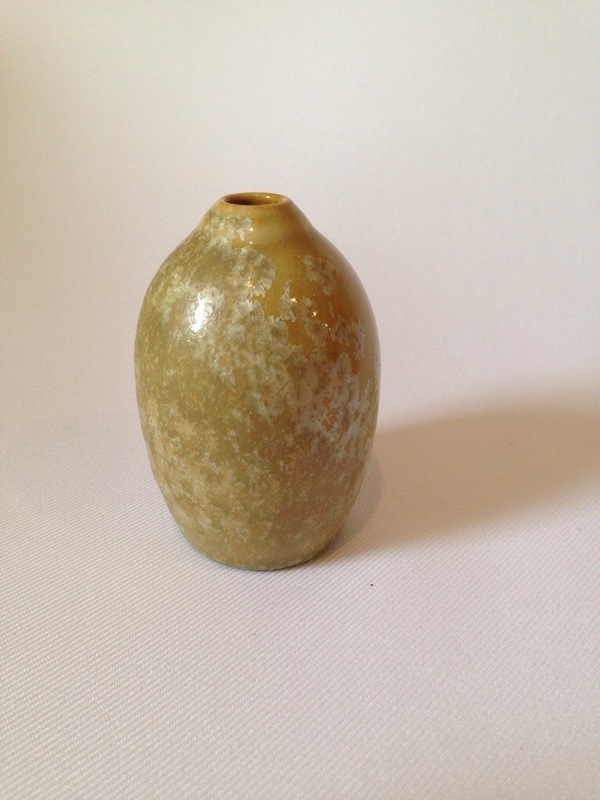 These pieces were fired at high temperatures to enhance the soft effect desired. 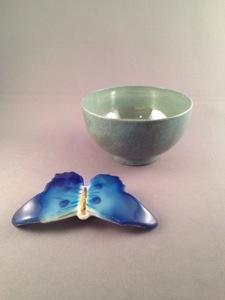 Three items of Velluma ware by the two of the main artists. Unusually the pots were made at Burslem and then decorated at Lambeth to the designs of Arthur Pearce, William Rowe and Margaret Thompson. A rare match box stand. Through deduction it appears that Arthur Pearce was responsible for the castle and topographical scenes, William Rowe the countryside scenes and Margaret Thompson the crinoline ladies and fairies. 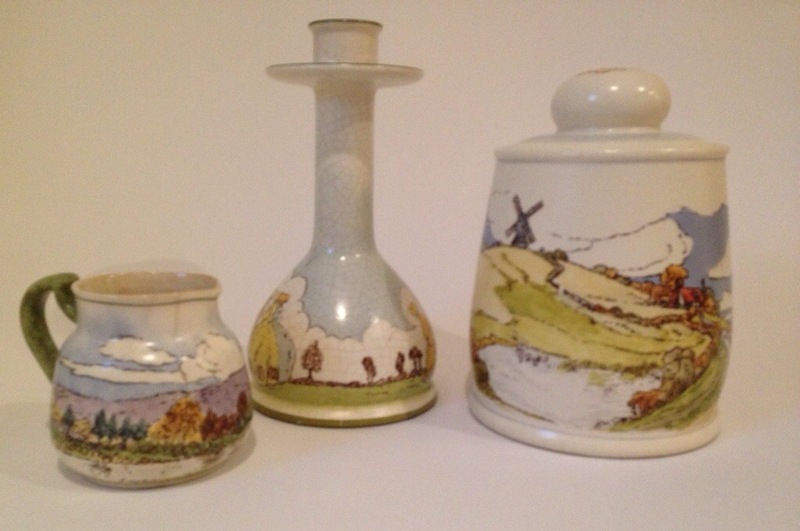 Three dishes with countryside or castle designs. Bamburgh Castle seems to have been a popular design as I have seen most items with this design. There were two great Doulton art factories in the 1920’s, with others factories both in the UK and in Europe too where more utilitarian goods such as Doulton drainpipes and sanitaryware were produced. 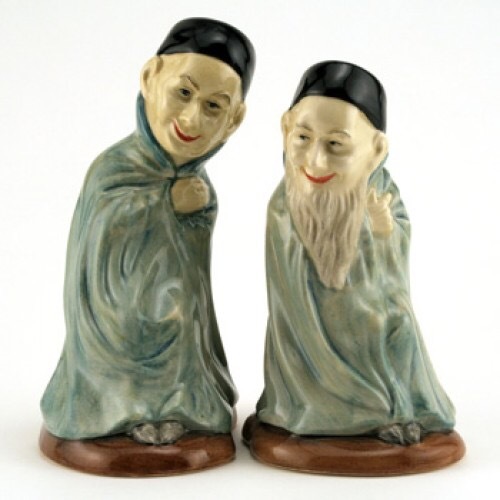 In Burslem, where figure production had been revived, Doulton’s Art Director, C. J. Noke was simultaneously keen to establish and indeed re-discover many of the ancient Chinese transmutation glazes of yesteryear. 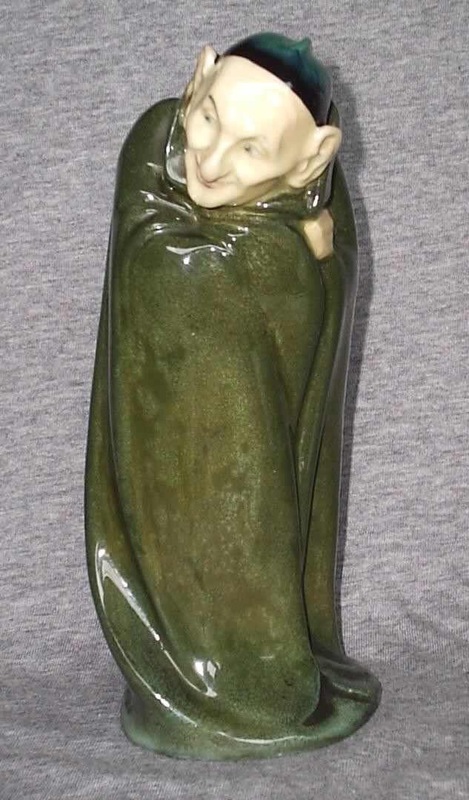 He had already re-discovered, introduced to the public in 1904 at the St. Louis Exhibition and by the 1920’s firmly established the world famous Doulton Flambé glazes but Noke together with his team of assistants continued experimenting with glazes and bodies so that today we have other glaze wares including Chang, Chinese Jade and of course Titanian to collect. The diversity of Titanianwares from handpainted, to glaze, to seriesware. 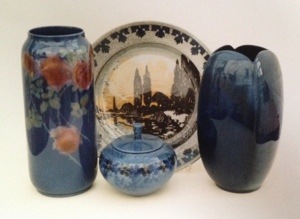 The unique Titanian glaze uses a titanium oxide which results in a bluey colour and pieces of Titanian ware can vary from white to dark blue glazes. 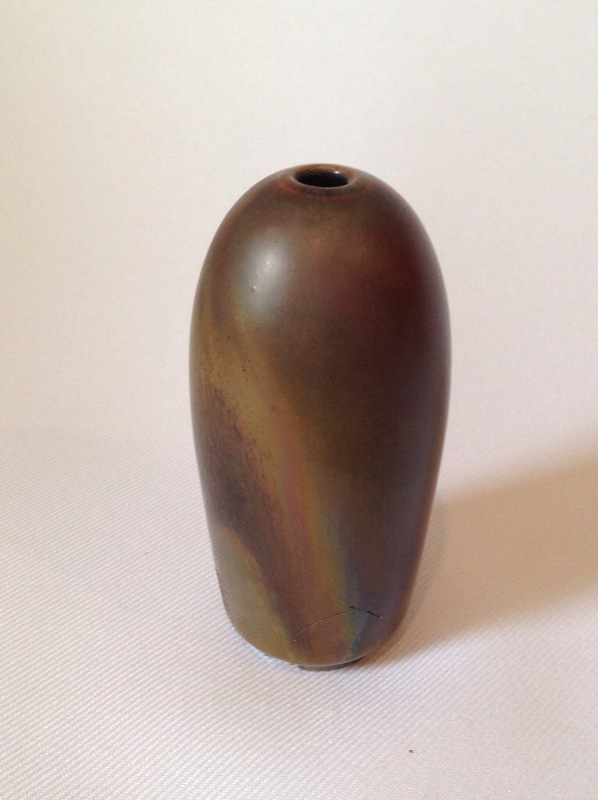 An unusual Titanian vase illustrating the varied colour of this glaze. 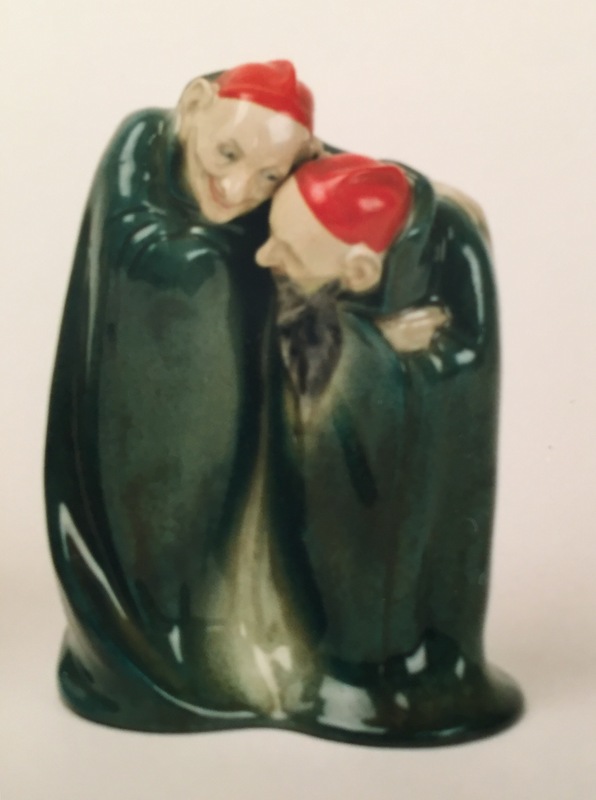 It was often used as the background to Doulton’s fine porcelain wares that were painted with typically birds but also oriental figures and flowers by leading artists including Harry Allen, F. Henri and Harry Tittensor. 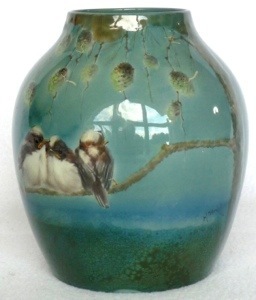 A charming Titanian vase and owl, handpainted. 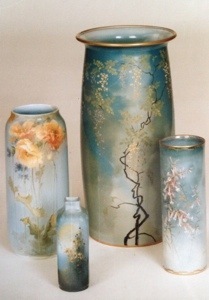 A group of desireable, floral Titanian vases. 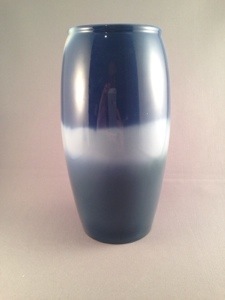 A typical Titanian vase signed F. Allen. 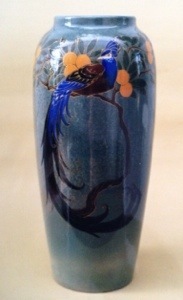 A tall Titanian vase with a Bird of Paradise design. Doulton’s seriesware was also in some instances given a Titanian glaze including the Sunset with Poplars range and of course the Tutankhamen set commemorating the opening of the Egyptian King’s tomb in the early 1920’s. 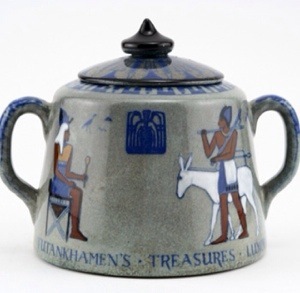 A Titanian lidded sugar commemorationg the opening of Tutankhamen’s tomb. 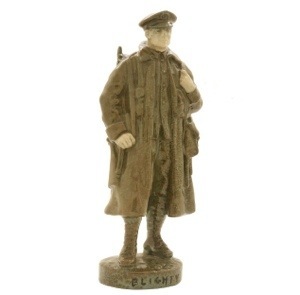 Figures too were given the Titanian treatment and three of the rarest figures today are commonly found in Titanian when they occasionally do turn up, namely the Australian and New Zealand Digger figures and their British counterpart Blighty – all issued at the end of the first world war. The rare Blighty in a Titanian glaze. The body of Titanian pieces can vary immensely from an egg-shell like porcelain to a heavy earthenware. This diversity in body is reflected in the price range for these wares, but this in turn allows varied scope for collectors today. Here is a heavily gilden earthenware Titanian rose bowl. My own particular tastes when it comes to Titanian are for the unusual shapes and glaze effects rather than the handpainted items. 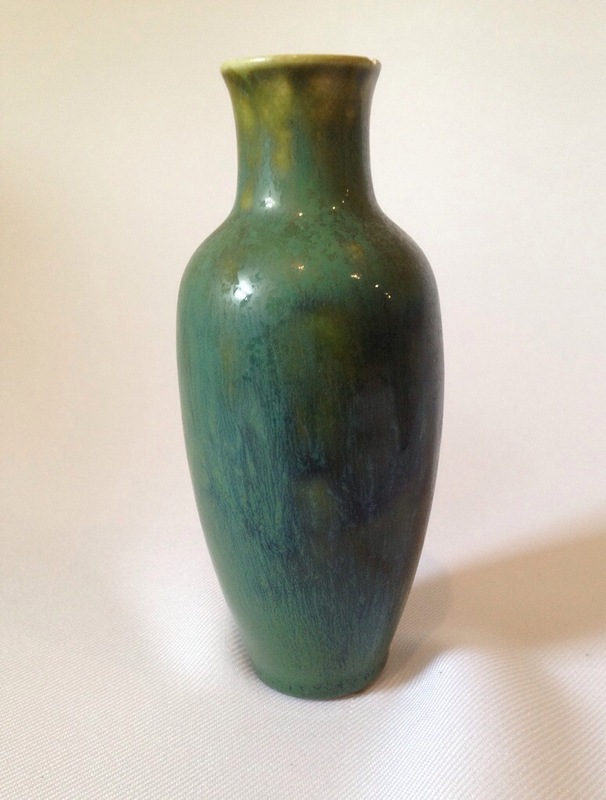 The Titanian glaze was introduced in 1915 and in production until ca.1930 and so pieces of Titanian ware can be found if you have a keen eye or if you have a dealer onside who will search these pieces out. 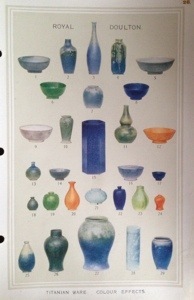 A catalogue page from 1924 illustrating the types of pieces that appeal to me. 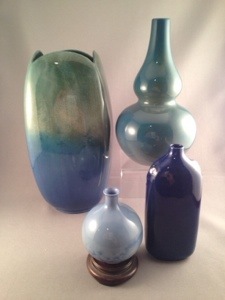 A group of interesting shaped Titanian vases. Above and below a lustred Titanian dish with butterfly. 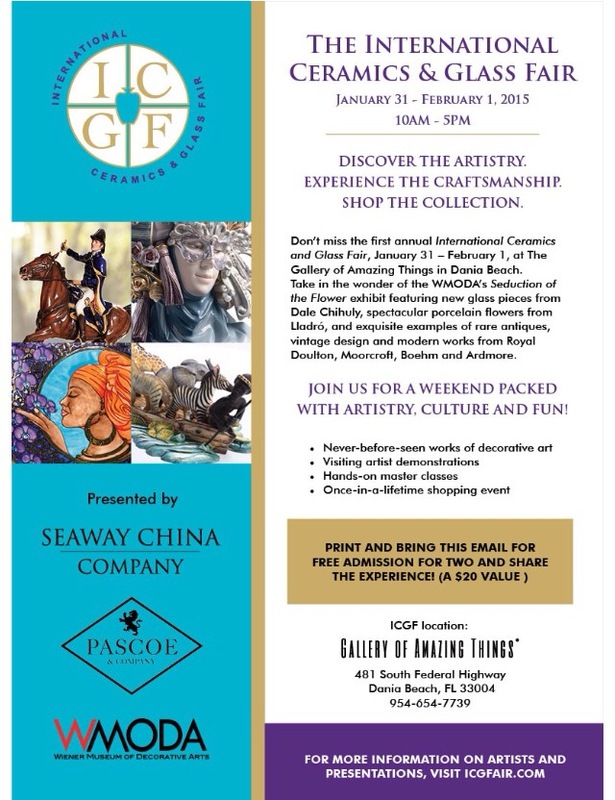 As always, if you have pieces in your collections please share via our Doulton Collectors Club facebook page!